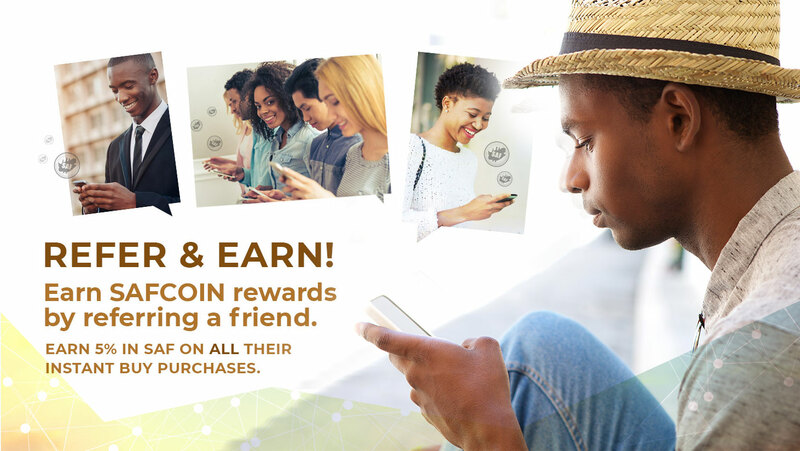 SAFCOIN Referral is back, and this time you can earn SAFCOINS! Due to popular demand we have brought back the referral feature. You will now earn 5% SAFCOIN reward EVERYTIME your referrals buy SAFCOINS using the instant buy feature. 1. Log into your account https://www.safcoin.co.za or sign up for a free account.